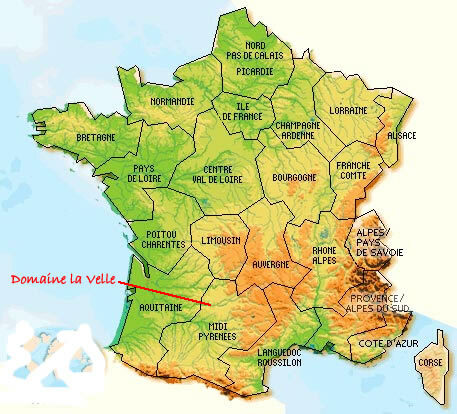 Domaine de la Velle is located in a hilly area with vast forests, vineyards, meadows and fields, a rural area with no mass tourism. 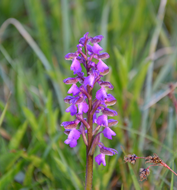 In the locality you will find ancient towns, villages and hamlets, where the population is welcoming and friendly. 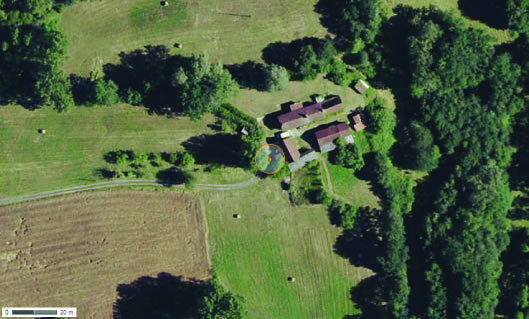 The old farm, cottage and camping are set on 4.5 hectares of undulating land which you are free to explore. 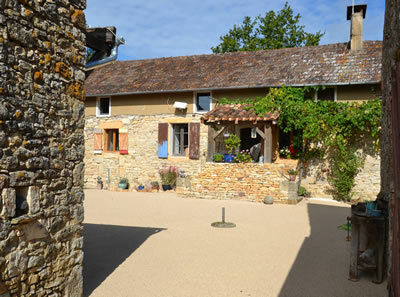 You can enjoy the peace and tranquillity here and/or combine it with trips to various tourist attractions. Think of caves, canoeing, charming towns and cities etc.. 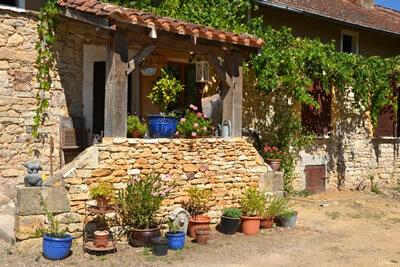 The houses have a characteristic architectural style of the Quercy region and are made of local ochre limestone. 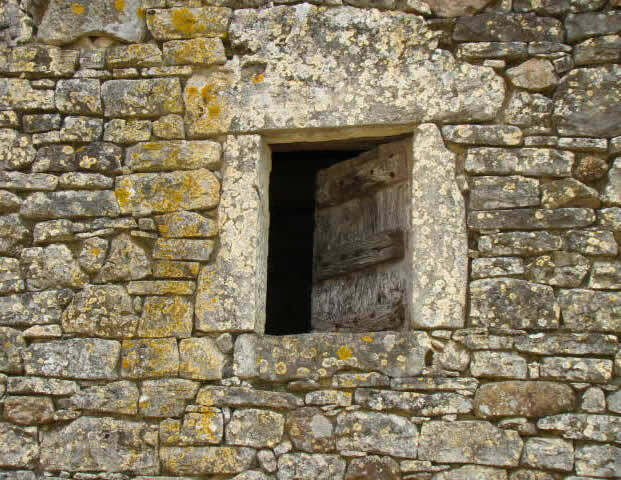 Also built of this limestone are the low walls and ancient stone shepherds huts, used for shelter and named gariottes or cazelles, which you encounter everywhere in the landscape. 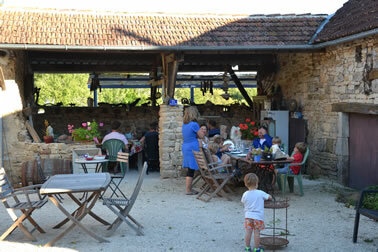 On our Domaine you find our Gite de la Velle and a small campsite for 6 places. Three luxury safari lodge tents with private facilities are also available to be rented. During high season, we bake pizzas once a week in our old bread oven and on an other evening you can enjoy our tables d'hôtes menu. Daily from 5 pm you can also order french fries. 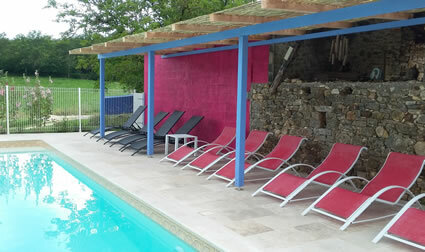 At Domaine de la Velle we have wifi at your disposal. 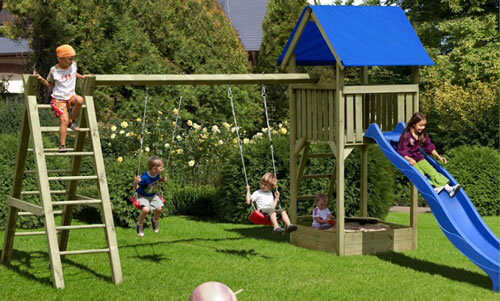 The pool measures 11 by 5 meters and is surrounded by a child-proof fence with a secure safety gate. 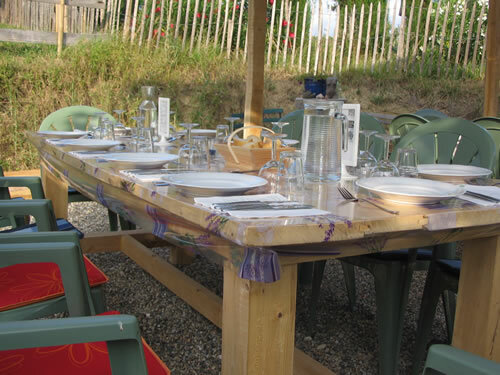 We also serve meals in July and August. 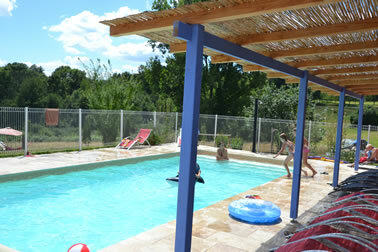 Domaine de la Velle is situated in the Lot department in the Midi-Pyrenees. 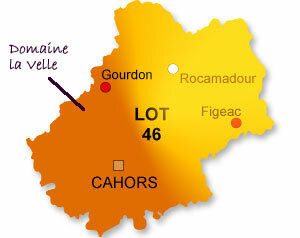 It falls under the municipality Montclera in the most western part of the department, close to the Dordogne.